Like most teenage girls, Carrie (Sissy Spacek) is brimming with pent-up emotion. But Carrie's an extreme case. At school, she's ruthlessly bullied. At home, she's demeaned and manipulated by her religious mother at home. So, unlike most teenage girls, Carrie develops telekinetic powers as a result of her extreme depth of feeling. Eventually, she's sent over the edge and unleashes her powers at Carrie's conclusion. What do you do when keeping up with the cool kids is slowly sapping your life of vitality? You can patiently wait until you graduate and find cooler, nicer kids in college. Or, if you're Veronica (Winona Ryder) in Heathers, you can fall under the spell of a charming sociopath named J.D. (Christian Slater) who convinces you it's all right â" nay, it's good â" to murder the cool kids. In an era marked by student-on-student gun violence, though, Heathers can be difficult to stomach. In the fall of 2018, witches will fly into pop culture on broomsticks and hopefully stick around indefinitely. 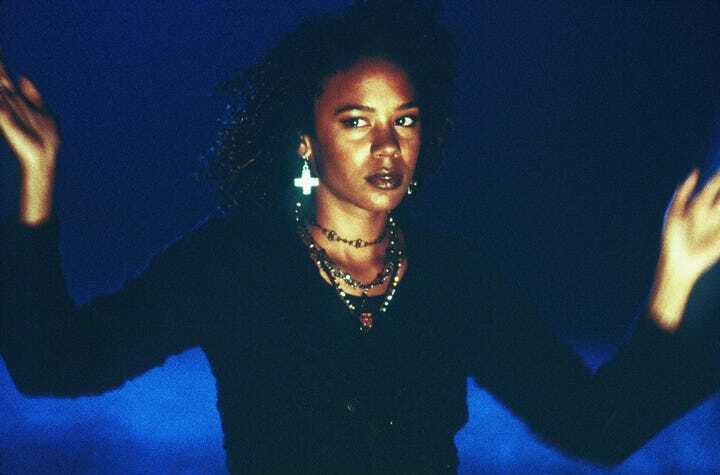 To prepare yourself for Charmed and The Chilling Adventures of Sabrina, watch The Craft, a high school movie that features power-hungry teenage girls with magical capabilities. Sign us up. When a Queen Bee is as unequivocally awful as Regina George (Rachel McAdams), it's understandable why people lower on the high school totem pole would dream of infiltrating her social circle and ruining her life. Cady (Lindsay Lohan), a new student who just emigrated from Africa, actually manages to do it. John Tucker (Jesse Metcalf) chose his girlfriends wisely. Situated squarely in different cliques, Carrie (A rielle Kebbel), Heather (Ashanti), and Beth (Sophia Bush) never would have come in contact â" and thus never would have learned they were all dating the same guy â" if it hadn't been for their new friendship with Kate (Brittany Snow). In retaliation for breaking their hearts, the women develop a plan to get back at John Tucker. They're going to make him fall in love with Kate â" then they're going to take that love away. All right, all right â" technically it's possession by a demon, not an overzealous sense of justice, that makes Jennifer (Megan Fox) go on that killing spree. But there's something satisfying in seeing a young women exercise her power. Jennifer uses her conventional attractiveness as a trap. She is the venus flytrap of the heteronormative dating scene. Watch her go. Hanna is a teen vengeance movie set outside the confines of a high school. In fact, it's set outside of typical society entirely. 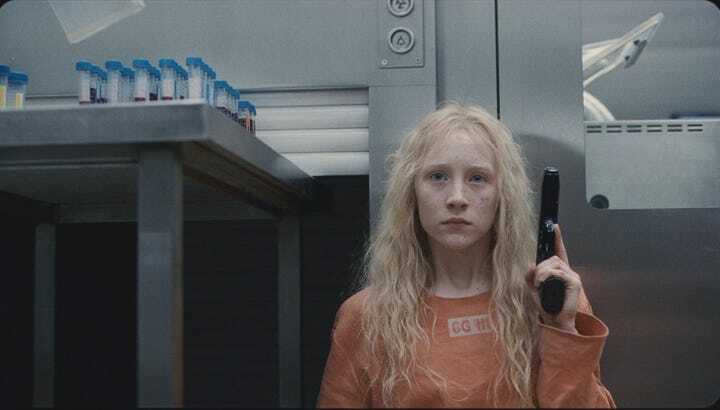 15-year-old Hanna (Saoirse Ronan) grew up in rural Finland with her fugitive CIA father (Eric Bana), who had one goal in mind while raising Hanna: Train her to be an assassin, and train her to kill his enemies. The Civil War intrudes on the tenuous idyll of a girl's boarding school in Virginia after a Union soldier and deserter (Colin Farrell) seeks refuge in their mansion. With the presence of a man in the house â" a dashing man, at that â" the women start rebelling against their headmistress and competing for his attention. All hell breaks loose about half an hour into Assassination Nation, when an anonymous hacker unloads the contents of half the town's phones onto the internet. People's facades of respectability crumble, and so to does the town's sense of order. Lily (Odessa Young), Sarah (Suki Waterhouse), Bex (Hari Nef), and Em (Abra) are caught in the middle of the crossfire.